The 5th Generation wireless systems (5G) is expected to accommodate exceptional services beyond current cellular systems. To achieve this goal, however, ongoing studies are still developing new schemes to provide seamless connections to the ever increasing density of high-mobility User Equipments (UEs). That means that the network needs to track all UEs while moving throughout the coverage area for the purpose of data-packet delivery. The two Mobility Management (MM) procedures that are essential to localize a specific UE and deliver data packets to that UE are known as Tracking Area Update (TAU) and Paging, which are burdensome to the system because of very high-volume traffic. Therefore, MM will become a crucial problem for 5G requirements; how to support real-time applications and provide close-to-zero latency for life-critical systems? This paper addresses a variety of problems that should be faced and discusses various solution schemes in terms of implementation complexity, latency, and computation overhead for both the TAU and Paging. Because 5G systems will work in conjunction with current Long Term Evolution (LTE) systems and the latter is retuned to use as a base design for future 5G, our discussion starts from current LTE solutions towards 5G MM improvements. In this context, this paper emphasizes a new key design for 5G and explains the challenges that impact both the network performance and UE experience (e.g., power saving). Next, we critically discuss the applicability of current LTE solution schemes (in terms of TAU and Paging costs) and evaluate them for 5G use cases. 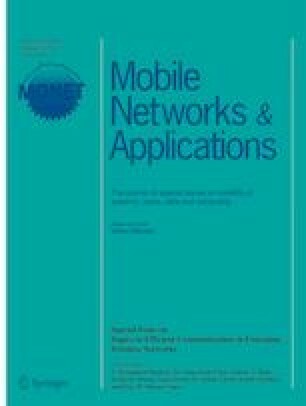 To the best of our knowledge, this paper is the first study that emphasizes and gives a critique on using of different types of UE mobility models (based on the given studies), which are used to analyze the network performance that interacts with the UE movements. In this context, some 5G improvement schemes are discussed. The first author was fully supported by Iraqi Ministry of Higher Education and Scientific Research through a scholarship grant no. 4650/11/16/2014.